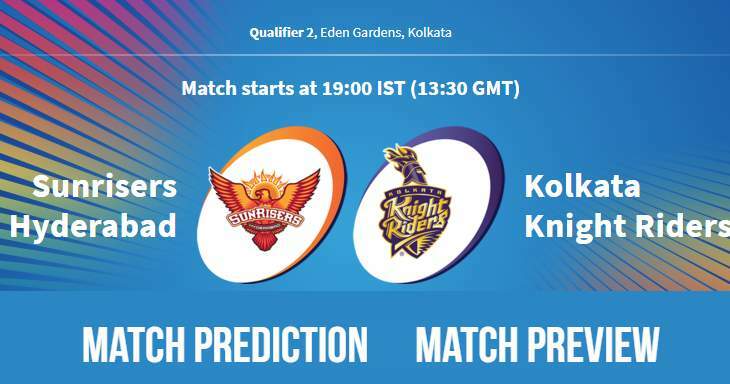 Home / Eden Gardens / Hyderabad / IPL / IPL 11 / IPL 2018 / IPL 2018 Match Preview / Kolkata / Kolkata Knight Riders / Match Prediction / Sunrisers Hyderabad / IPL 2018 Qualifier 2 SRH vs KKR Match Prediction, Preview and Head to Head: Who Will Win? IPL 2018 Qualifier 2 SRH vs KKR Match Prediction, Preview and Head to Head: Who Will Win? Sunrisers Hyderabad (SRH) and Kolkata Knight Riders (KKR) will play the Qualifier 2 of the 11th season of Indian Premier League – IPL 2018 on 25th May 2018 at Eden Gardens, Kolkata. As far as weather is concerned, no rain is forecasted with the temperature around 30ºC and humidity above 75% during match hours. It is quite dry underneath but it's got a good covering of grass. Moisture on the pitch will be missing during this match as there has been no rain for two days. Spinners will still get the help from the pitch; also pace bowlers will get the help. It will be a good batting surface and both teams will score a lot of runs. Sunrisers Hyderabad would like to play with the same XI, as tinkering at the last moment will not be a good choice. Javon Searles may the player whom the team would like to replace, Tom Curran, Mitchell Johnson or South African all-rounder Cameron Delport are the options available. Cameron Delport will be not the best choice as he has not played any match this season and including in the team at the knockout stage will not be a good choice. The team may also play with the same winning XI. Sunrisers Hyderabad and Kolkata Knight Riders have met at 14 encounter head to head at IPL, out of which 5 are won by Sunrisers Hyderabad and 9 are won by Kolkata Knight Riders. Kolkata Knight Riders and Sunrisers Hyderabad have played twice at IPL Playoff Eliminator in 2016 and 2017; Sunrisers Hyderabad won in 2016 and Kolkata Knight Riders won in 2017. Sunrisers Hyderabad and Kolkata Knight Riders have played 6 matches at Eden Gardens, Kolkata against each other, out of which Kolkata Knight Riders have won the first 5 matches and Sunrisers Hyderabad won the later 1 match in IPL 2018. Sunrisers Hyderabad have played 6 matches at IPL playoffs, out of which they won 3 matches. Kolkata Knight Riders have played 9 matches at IPL Playoffs out of which they have won 6 matches and lost 3 matches. The Kolkata Knight Riders are undefeated in the two IPL playoff matches they’ve played at the Eden Gardens, Kolkata. 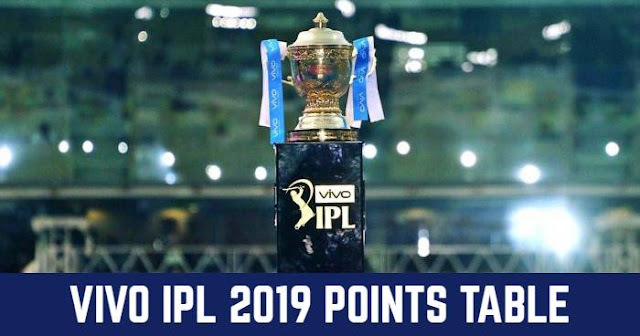 In 2014, KKR defeated Kings XI Punjab in Qualifier 1 and then in IPL 2018 they defeated the Rajasthan Royals in the Eliminator. Sunrisers Hyderabad have lost 4 matches in a row after ending at top of the IPL 2018 points table, this will a concern for them. In the 4 losses, first 3 matches were lost due to poor bowling performance which bowled at an economy with 9.00+ but the previous match against Chennai Super Kings in Qualifier 1 was lost due to crumbling batting. On the other hand, Kolkata Knight Riders are coming with winning 4 matches and got the right momentum at right time. In our prediction, Kolkata Knight Riders are in right momentum and are more probable to win this match.